It’s in today’s Sunday paper! 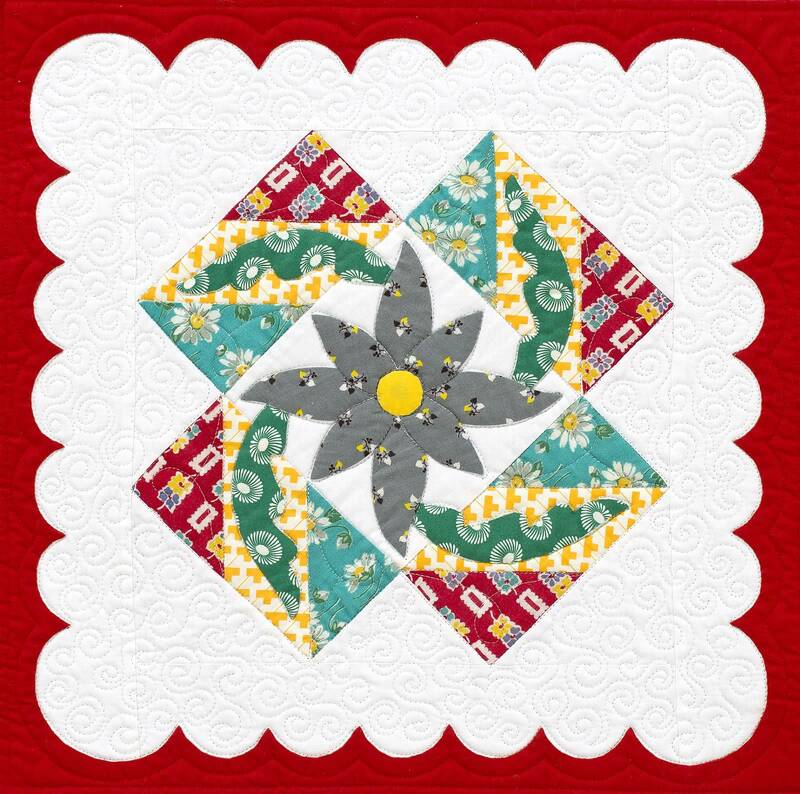 This month’s block is called “Canasta”. Hazel mentions playing canasta so many times throughout the diary. It was a card game the whole family enjoyed. Back in the early 1950s, families sure had different ways of entertaining themselves than they do now! For the Canasta block, I started with a base of the traditional quilt block pattern called “Card Tricks”, then manipulated it to show more motion, and placed the floral applique on top. I used a combination of actual vintage fabrics and new modern fabrics to create this block’s 1950s look. Read this month’s story and get the supply list and cutting instructions HERE. For complete assembly instructions and applique templates, you can pick up the March 15th Kansas City Star Sunday paper and check out the House & Home section, or download a PDF file for this month’s installment HERE.